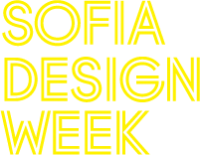 Studio Juju will be speaking as part of a forum during Sofia Design Week in Bulgaria, 1-8 June 2012. The other speakers includes David Carlson, Raw Edges, Stefan Sagmeister, Genevieve Gauckler and many more. Please visit Sofia Design Week for more details.